And so it begins. After Monday's crazy flash storm, it’s clear that we need to start hunting for our wintery old faithfuls. The only problem is, we can’t seem to remember where we hid them all! Oh well, that’s just a great excuse to get out and about in our auburn city to do some retail therapy, check out the seasonal trends and do something cool (excuse the pun)! What do you get when you cross LEGO, Easter and adventure? 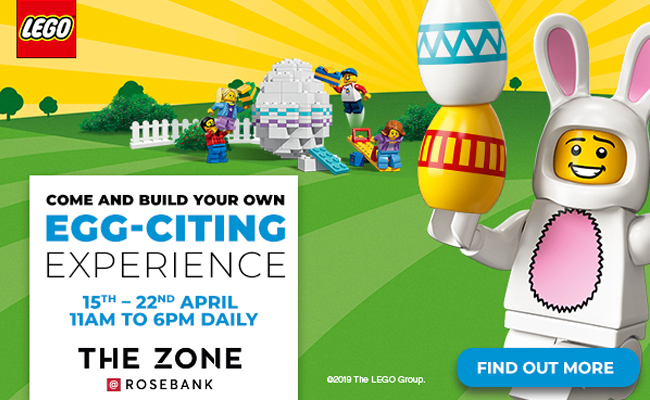 You get an egg-citing, fun-filled LEGO building experience from 15 - 22 April at The Zone @ Rosebank! 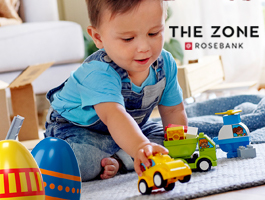 Plus, if you complete the experience, you could stand the chance of winning a R5 000 LEGO hamper. Find out more here.  If there is one event you need to attend this April, it’s definitely the Lusito Land Festival 2019! This Portuguese extravaganza is back from 20 – 22 and 26 – 28 April, promising even more thrills, musical entertainment, gourmet food, cultural celebrations and family fun than ever before. Check out the amazing lineup and get your tickets here. Combining comedy and classical ballet into one spectacularly graceful and humorous performance, Les Ballets Eloelle’s Men in Tutus will be thrilling audiences from 12 - 14 April at The Teatro, Montecasino, for four performances ONLY! This is a once-in-a-lifetime experience, so get your tickets now before it’s too late. Don’t miss the Royal Race Day at Turffontein Racecourse this Saturday! It’s the most glamorous day on the race calendar and HSH Princess Charlene of Monaco will be attending this glitzy charitable event. Entry is FREE! 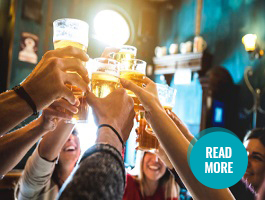 Featuring over 150 brews, ciders, gins and wines, this Saturday’s Untapped Collab Craft Brew Fest is a must if you’re keen for a cold one on a balmy autumn day. Is beer not your thing? Don't worry! Sip on the best bubbly imaginable at the Johannesburg Cap Classique & Champagne Festival this Saturday and Sunday at the Inanda Club. Enjoy a little bit of country, stunning views and delicious delights at the Rustig Farm Style Music Fest out in Magaliesburg this Saturday. Brides-to-be, spend your Sunday exploring everything you need to bring your dream wedding to life at the Exclusive Bridal Fair at the Hilton Sandton. Easter is next week! 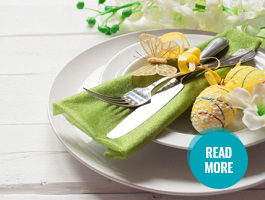 Have you planned your Easter feast? No? Don’t worry, here’s a few scrumptious options in and around Joburg. 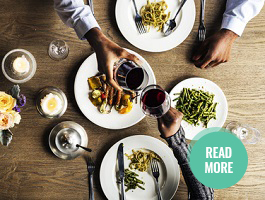 Experience the best in Joburg restaurants without busting your budget with the Restaurant Week: Autumn Edition from 18 April until 05 May! 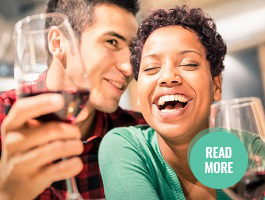 Tired of the same old date night routine? Spice things up a bit with DateFactory. It’s a date night in a box, delivered right to your door. For decades, six inner city blocks along Main Street were shut off to the public. CBD developers, Divercity is about to change that. 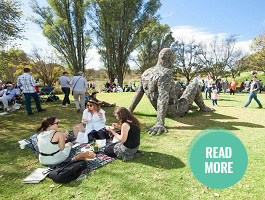 The annual Winter Sculpture Fair will once again be breathing life into the Nirox Sculpture Park. It’s a lovely day filled with wine, art and food. 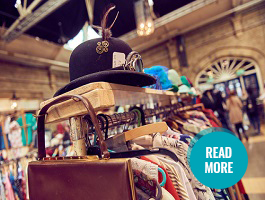 Enjoy the best in vintage Joburg fashion, antiques and collectables, as well as lovingly crafted artisanal products at this lovely market. 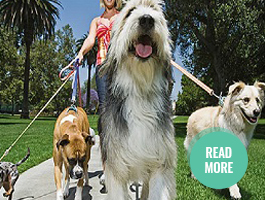 Treat your fur kids to a fun day out and about at the Big Red Barn in Pretoria. Best of all, all profits will go to supporting an animal charity in need. You’re invited to Schulbasar, offering guests a wide variety of beers, live entertainment, traditional German food and delicacies and fun! 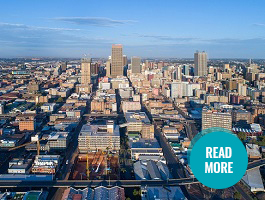 If you missed our last edition, click here. © Copyright 2019 - Velocity Media.